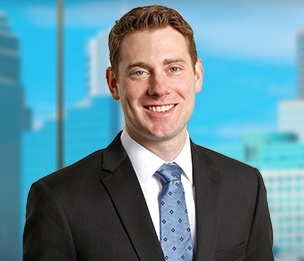 Christopher Bayliss is a registered patent attorney and associate in the Intellectual Property group in Dykema's Minneapolis office. Chris's practice includes patent preparation, prosecution, and freedom-to-operate analysis primarily in the mechanical, electromechanical, electronic packaging, and e-commerce technology fields. Chris formerly worked as a senior engineer for Motorola Solutions before entering private practice, designing two-way radios and accessories for the government and public safety markets. He also worked for GN ReSound designing hearing instruments and related components. While attending law school, Chris assisted pro bono clients with patent preparation and prosecution through the William Mitchell Intellectual Property Clinic and was a research assistant for Professor R. Carl Moy. Chris also authored an article for the Cybaris® Law Review regarding the European Unitary patent and Unified Patent Court.